The new OneStream 4.2 software release was officially made available to the public in October 2017. This is the first OneStream version which is no longer browser dependent as it also is available via the new OneStream Windows app. In this article we will share our experience so far; and of course tell you about the upgrade process and other significant improvements like the ability to use spreadsheets within the workflow module. Th combination of Excel and workflow is very powerfull. And this without any necessity to open Microsoft Excel. 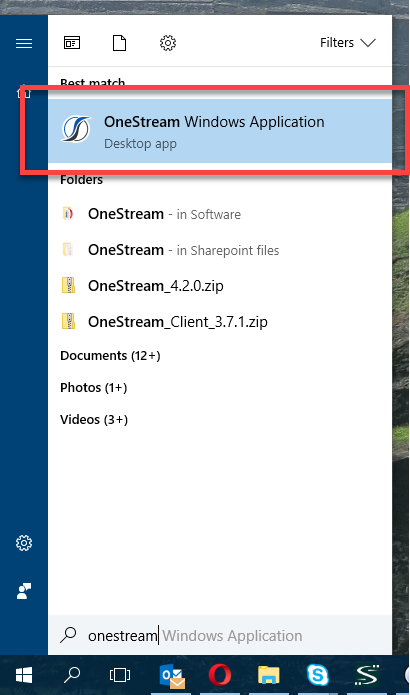 As mentioned above, the biggest change in this update is of course the availability of the OneStream App for Windows (Internet Explorer is still supported). The app launches like any other Windows desktop app. With this app you can use OneStream without the necessity of a web browser. After installing the app via an executable file, it’s ready to use. The app is lightweight and fires up quickly. The login screen is essentially the same, the only difference being the server address needs to be filled in. The address is remembered by the app, so no need to fill that in every time. After logging in you will find that the app runs very smoothly and gives a very trustworthy feeling. The one thing that jumps out is the little zoom bar in the right top corner. This lets you zoom in and out, without messing up the layout. The panes on the left and the right stay untouched. Other than this, the look and feel of the OneStream Windows App is the same as in the web. There will be no difficulties for an end user to switch from the web to the OneStream Windows App. The financial model has been extended with three extra functions: two extra data management steps and one extra optional calculation function. 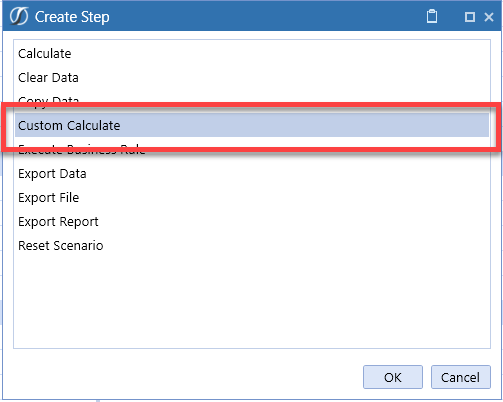 The Custom Calculate step can run a calculation on a slice of data. This enables the users to update some figures and see the results of their changes for a small set of data. In my opinion, this is a useful option in a planning process where multiple users are responsible for the data. Users can play around with their figures, without constantly recalculating the big picture. When they’re happy with their part, they can run the calculation for the compete plan dataset. 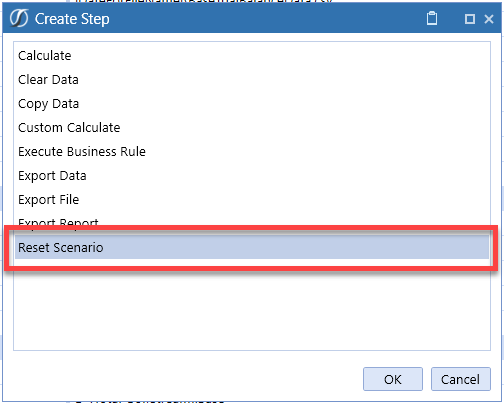 The second extra step is a reset scenario option. With this option you can clear a scenario for a specific time range as if it was never used. Care should be taken with this functionality as it’s not possible to do this for a selection of entities, so it’s really all or nothing. It’s very useful when it’s required to purge scenarios that are no longer needed in the system. Just a few simple clicks to keep your application properly maintained. OneStream has developed a new spreadsheet functionality within the OneStream Windows app which has the same look and feel and all the functionality like Microsoft Excel. All OneStream add-in functionality that is available in the ‘normal’ Microsoft Excel can also be found in this spreadsheet editor, except for the option to enable the developer tab so developing Excel macros isn’t an option in the OneStream Windows app. This new functionality will give you the ability to work in a spreadsheet document in the forms section of a workflow and update existing data and/or annotation inputs. There is also an option to use a text editor (very similar to Word) in the OneStream Windows app. Unfortunately, there’s no option to access the text document via the workflow, this would be a great addition for textual reporting requirements. Another nice improvement is the ability to search within a list of journals, as opposed to the older version which only contained a list with no search function. This will make life much easier for users to quickly find a particular journal. This version of OneStream requires Microsoft .NET Framework 4.7. If it’s not yet installed on the server, the installation process will prompt to install this. The next steps of the upgrade to 4.2 are straight forward, and no different than previous updates. The whole process takes about 30 minutes. Installing the OneStream Windows App is a simple task, something that a normal user can easily do by running the executable file. Of course, assistance may be required from local IT in case local policy does not allow users to perform installations. 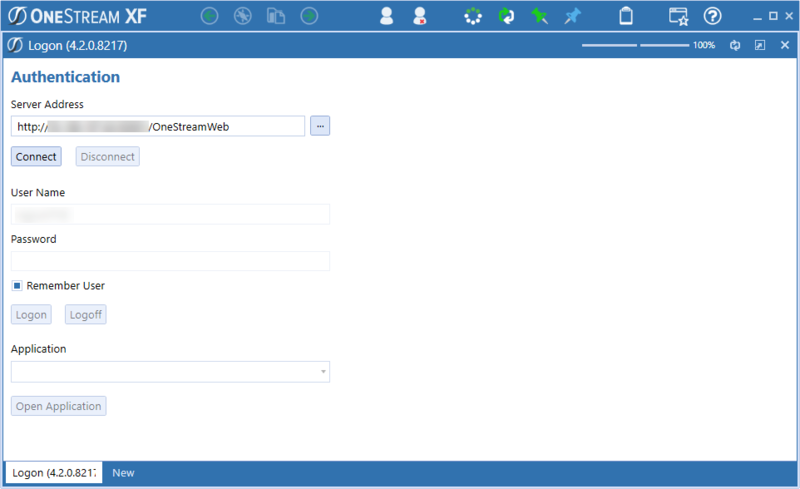 To conclude, the addition of the OneStream Windows App is a step in the right direction. It’s an easy way to use the already familiar software, with great new options such as the spreadsheet option in the Workflow. The adoption of this new tool does not come at the expense to the quality of OneStream XF, instead it opens the way to an even brighter future with lots of new possibilities. Using a spreadsheet in the workflow is great. This brings a huge amount of opportunities to the workflow. Let’s hope that in the next release, it’s also possible to use a Word document in the workflow so that editing (a part of) the monthly reporting will be facilitated in the OneStream workflow.